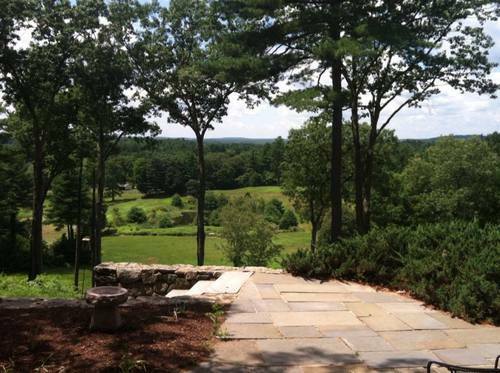 Stunning westerly views Hilltop retreat on 10 acres! Unique lifestyle opportunity on Monument St. Private, calm, hilltop retreat spread over 10.23� acres. Includes a separate building lot. Astonishing, panoramic views over conservation land. Sun drenched location. Directly abutting Estabrook Woods. The 5,180 sq.ft. residence was carefully constructed to reinforce meaningful connections between indoors and out. Five fireplaces, three-plus bedrooms, four full bathrooms. Expansive terrace. Flexible floor plan and potential for finishing upper level.